Britain's Mickey Mouse Weekly is notable for many reasons. As frequently cited, it is Britain's first comics magazine to be published with photogravure printing which allowed high-quality color reproductions, a factor which undoubtedly contributed to its circulation of more than half a million. It featured, naturally, Disney comics and stories, some of them reprints of US newspaper comics and some of them original British products, but its contents also included non-Disneyic material as well. 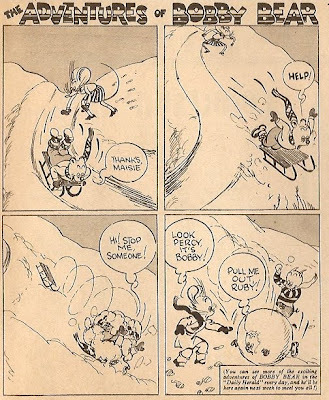 The non-Disney comics ran in MMW can be grouped into two categories: the humourous, gag-a-week comics and serious, adventure comics with narratives continuing into subsequent weeks. This post will cover the gag comics ran in the early issues of the magazine. 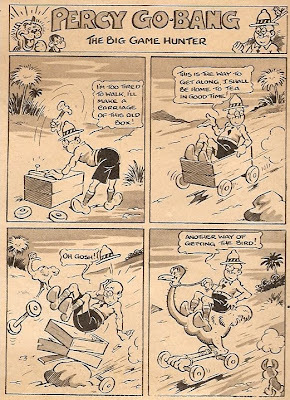 The first issue of MMW, which came out on Feb. 8th, 1936, featured four non-Disneyic gag comics. The most prominent of them was the full-page 'Adventures of Skit and Skat'. However, since it frequently experimented with continous narratives, it needs to be covered separately. 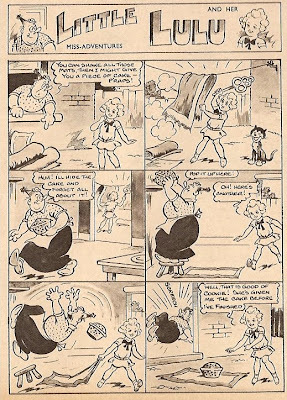 The longest running of the strictly gag-a-week comics from the first issue would be 'Bobby & Chip' (see the image at the top of this post for its debut in no.1). It lasted for 27 issues only to be replaced by another gag comics, 'Heavenly Twins'. However, early in 1937, it would re-emerge in a new format as a single-row strip covering the bottom portions of the central color pages and would continue there for several years. Another gag-a-week comics of no.1 was 'Troubles of Father', but it would last for only the first 16 issues. Rounding up the gag-a-week comics of the first issue of MMW was 'The Adventures of Bobby Bear'. 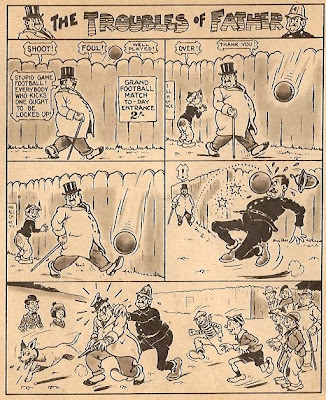 This last comics was also being run in the British newspaper Daily Mail since 1919. From no.33 onwards, 'Sea Shanties' would be replaced by 'Circus Capers' which would contiue till no. 44. 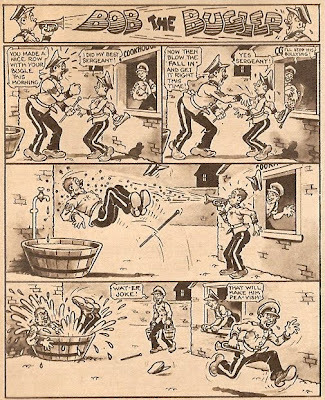 The writers/artists behind these gag comics (other than 'Skit and Skat', which is known to be the work of Basil Reynolds) are unknown to me and any help in that regard would be welcome. 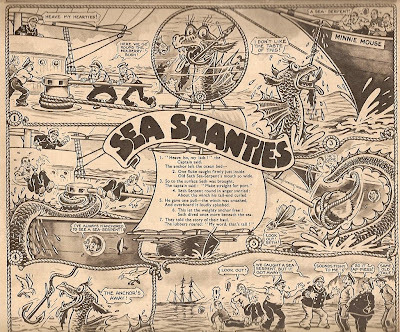 UPDATE: From http://bearalley.blogspot.com/, I've recently learned that the artist of 'Troubles of Father', 'Bob the Bugler', 'Sea Shanties' and 'Circus Capers' was Reg Carter; see post dated July 30, 2008 from that blog for info on Carter. 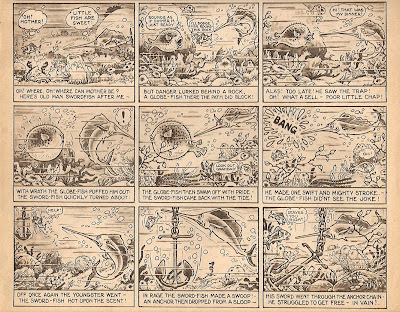 I was absolutely thrilled to see the Reg Carter cartoons from Mickey Mouse Comic - as a researcher into the life and work of Reg I had been aware that he had done work for this comic but had never seen them. DEBUT OF FLASH GORDON IN TURKEY contd.